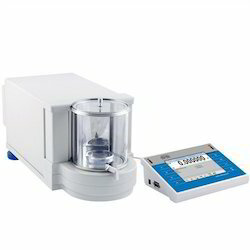 We offer wide range of Analytical Balance. 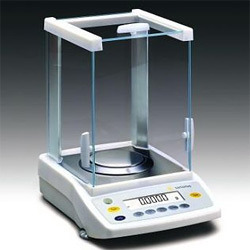 Max Load : 2.1g / 5.1 G / 11 G / 21 G.
4Y series a modern weighing device, especially useful when the measurement requires perfect accuracy and high speed. Measurement accuracy is guaranteed with an adjustment procedure carried out using an internal adjustment weight. This fully automatic process is controlled by a module intended to diagnose ambient conditions change (on –line). Adjustment processes (internal and external) can be performed in accordance with a specially designed schedule. 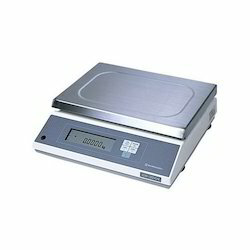 To retain our goodwill in clients' consideration, we are offering an excellent range of Precision Balance. Making use of quality assured components and ultra-modern methodology, the offered balance is manufactured by our qualified workforce with utmost care and perfection. To ensure its quality, our quality inspectors examine this balance against numerous measures of quality. Furthermore, we provide this balance in different specifications to fulfill the varied needs of patrons. With enriched industrial experience and knowledge, we are providing our clients with a wide assortment of Physical Balance. 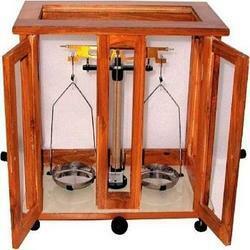 This balance is commonly used for weighing purpose of various things. Designed with utmost precision, the offered balance is manufactured using quality-proven components with the assistance of pioneered technology in synchronization with defined industry standards. Apart from this, this balance undergoes various tests in order to ensure its flawless nature. Max Load : 2.1g . We have gained recognition as an eminent enterprise, devotedly engaged in offering a broad range of Differential Scanning Calorimeter. Using quality approved material with the assistance of modern techniques; this calorimeter is manufactured under the strict guidance of adroit workforce at our well-established production unit. 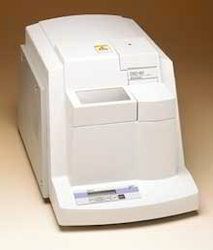 This calorimeter is used for preparation & management of reports using OLE. In addition to this, we provide this calorimeter in various specifications to fulfill the varied requirements of our clients. Data analysis items include Temperature, Time, Tangent, Heat, Peak Area, Auto Calculation etc. With the constant support of our dexterous crew of technocrats, we are fulfilling the varied requirements of clients by offering optimum quality Single Pan Balance. The offered balance is used for weighing purpose. This balance is manufactured at par with industry standards of quality making use of the best quality components. This balance is broadly acknowledged for its accurate result and easy installation among our clients. We are counted amongst reckoned names in the industry, committed towards offering a wide gamut of Dispensing Balance. 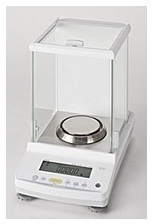 This balance is used at jewelry shops for weighing purpose. At our sound production unit, the offered balance is manufactured using supreme grade components as well as contemporary techniques in line with defined industry norms. Furthermore, we provide this balance in diverse specifications to fulfill the requirements of our patrons. To meet variegated demands of our esteemed clients, we are engaged in offering an exclusive range of Chemical Balance. The offered balance is used in chemical industry for measuring chemicals. For manufacturing this balance, our experienced professionals use only high quality components and cutting-edge technology as per the defined industry quality standards. Apart from this, we also modify this balance according to the variegated requirement of our clients.